FFBE recently launched the Festival of the Autumn Moon and with it were some amazing rewards including great gear, Rare Summon Tickets, and the new Trust Moogle. Getting all of this is so easy feat though, and in order to get all the items that have a limit you would need over 300,000 Mogcakes! This guide is going to show you how to get every item for you completionists and what items you should focus on getting if you have less time. 900 Lapis might be a huge investment for most players but getting this bundle is well worth it in the long run. It reduces the amount of time you have to spend keeping your crafting queue full, and it generates more Mogcakes per ingredient. 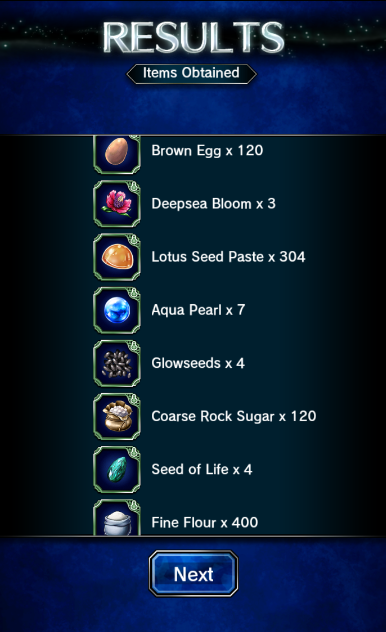 This is an investment that will last you during the rest of your days playing FFBE and is absolutely necessary to get all the items during the Festival of the Autumn Moon. Both Dwarves’ Forge and Maranda Coast are capable of dropping the maximum amount of ingredients but I personally prefer farming Maranda Coast since it drops Ice Megacyst and the fights are easier (good if you macro). Just buying the Premium Mogcake Bundle will get you enough materials to start crafting one right away, but you’re going to want to get enough materials to start crafting all the others right away. Flour is going to be the one you need the most of, for Maranda Coast I usually get an average of about 400 flours per run. It takes 1,200 flour to craft all four Premium Mogcake Boxes every 8 hours; or 3,600 flour per day. However even if you max all your daily crafting during the campaign period unless you stockpile flour you’ll max at about 241,000 Mogcakes, leaving you almost 70,000 short to obtain all the items. In order to craft the maximum amount of Mogcakes though the entire claim period you’ll need to stockpile 25,200 flour, which is about 63 runs of Maranda Coast. A lot of guides don’t recommend going for the Megacites but most people underestimate how important having strong Espers are. If you don’t have a large array of strong units, then getting the Esper skills will be very important. Osmose from Rank II Ramuh and Magic Break from Rank II Shiva are very useful skills. The reason I don’t recommend going for the gear is due to its niche status, both the mace and shield are caster items and while casters are good units, physical attack units are still king. The mace would be my next pick however since it’s +60 ATK will keep it viable for a while. 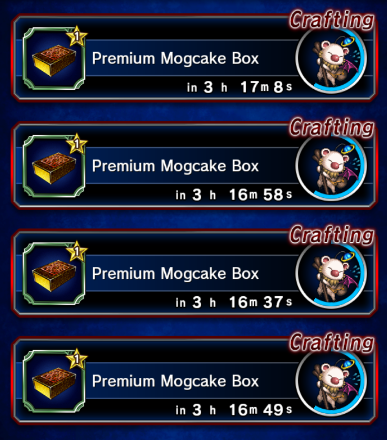 Have all 4 of your Premium Mogcake Boxes start and stop at the same time: This will help you to maximize your crafting, while also giving you the ability to have breaks from the game. Use NOX: Being able to use macros to farm will prevent you from going insane. The amount of times you have to full clear Dwarves’ Forge and Maranda Cost will become very tedious very quickly, let a macro do the most boring parts for you. Equip your team with Cat’s Bells: Cat’s Bell grants the ability HP Stroll which heals your units as they walk around, this also counters the negative effects of poisoning while outside of battle. 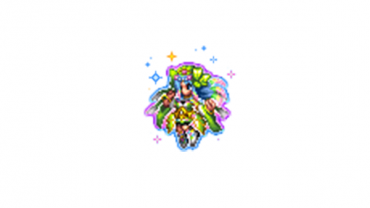 Use a unit that has a heal for their Limit Burst: Since you’ll be doing a lot of battles per run, anything that can help reduce the amount mana you have to use will be required. Units like Roselia, Maria, Krile, and Lenna will keep your party healed without having to spend mana. Note: This is a guest post by Richard.